The term computer virus is generically used to describe various types of IT security threats. The term also covers worms, trojans, rootkits, spyware and other assorted malware all intent on doing your computer harm. 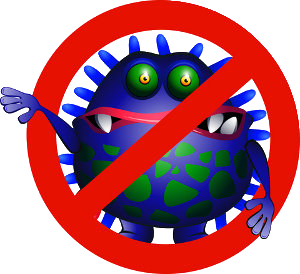 Viruses can be confused with worms and Trojan horses, which are not the same, but have the same harmful intent. A worm exploits security vulnerabilities, (which is why it's important to keep those updates up to date) to spread itself automatically to other computers through your connections to other computers. A Trojan is a program that appears harmless but masks devious intent. Worms and Trojans, and viruses may harm your computer system's data or performance. Some viruses and other malware have symptoms that you see, but many are devious and often go unseen. Your system may start displaying unusual errors such as programs not responding or dispaying error messages such as false virus alerts. These are known as scareware and try to prevent you accessing your computer unless you pay a fee to get a code to remove it. Examples of this type of thing are Live Security Platinum which will attempt to get you to believe they are from reputable sources such as Norton. Be assured they are not. If your computer gets messages like this contact us immediately for advice and assistance. Likewise if your hard drive light is constantly blinking and your system seems slow and unresponsive this could indicate a virus is present. The longer you leave it, potentially the more harm it will do. The good news is we can usually repair these infections and corruptions within 24 hours. In exceptional cases a full OS re-install may be required which takes a little longer. If you have any concerns please contact us as soon as possible. 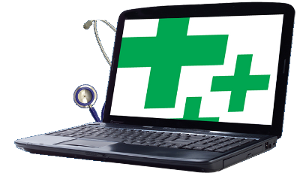 If you have a problem but can still connect to the Internet we can often connect to your computer remotely to investigate and hopefully diagnose your computer problem.